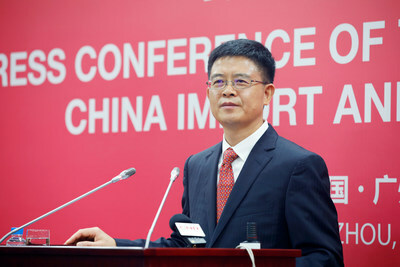 GUANGZHOU, China, Oct. 17, 2018 /PRNewswire/ — The China Import and Export Fair (Canton Fair) kicked off in Guangzhou on October 15 gathering over 25000 exhibiting companies. The 124th fair, taking place during the anniversary of China’s opening and reform, also celebrated the integral role of the fair in its contribution to global trade over the last 40 years. Over 636 companies and 10 national and regional delegations from 34 countries and regions took part in the International Pavilion. In the brand section this year, 58% are manufacturers, and 31.5% are new exhibitors. “We will also stick to target marketing, specialization and innovation, focus on key sections and target markets, to provide a more convenient attending experience, more secure transactions and higher return for buyers. We’ve carried out big-data driven digital marketing based on social media and search engine. In the framework of Canton Fair Overseas Partnership Program and Buyer Incentive Program we’ve engaged in targeted marketing. We will also organize supplier-buyer networking and the Multinationals Soucing Service (MSS) to improve buyers’ experience.” Xu said. The China Import and Export Fair (“Canton Fair”), is held biannually in Guangzhou every spring and fall. Established in 1957, the fair is now a comprehensive exhibition with the longest history, highest level, largest scale and largest number of products as well as the broadest distribution of buyer origins and the highest business turnover in China.